One style only. Keep it pure: master this masterly technique. You know what artists say? If you can paint watercolour, you can paint any style. It has everything: mood, colour, freedom, control, light, shade, detail. (And beauty, of course.) To paint it well, you have to master all those things. Now here’s the kit you need to find your flow. 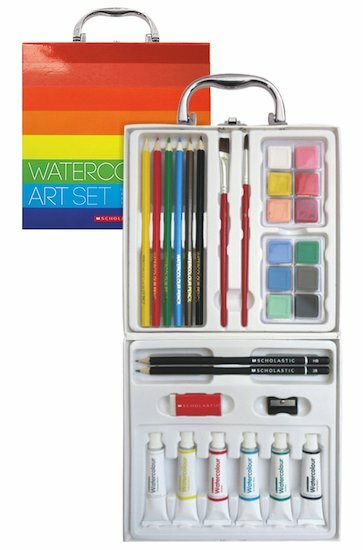 With liquid and cake watercolour paints, plus watercolour pencils and sketching tools, this set is full of fun ways to explore this versatile artistic medium. I think it will be awesome because it has different techniques of brushes.